For family celebrations such as weddings, birthdays, communion, confirmation, baptisms and also company parties and funeral functions, we can provide the appropriate setting. With the hotel’s own events rooms, we can offer plenty of space for up to 100 people! Just chat with us and we will be happy to look after your specific event. 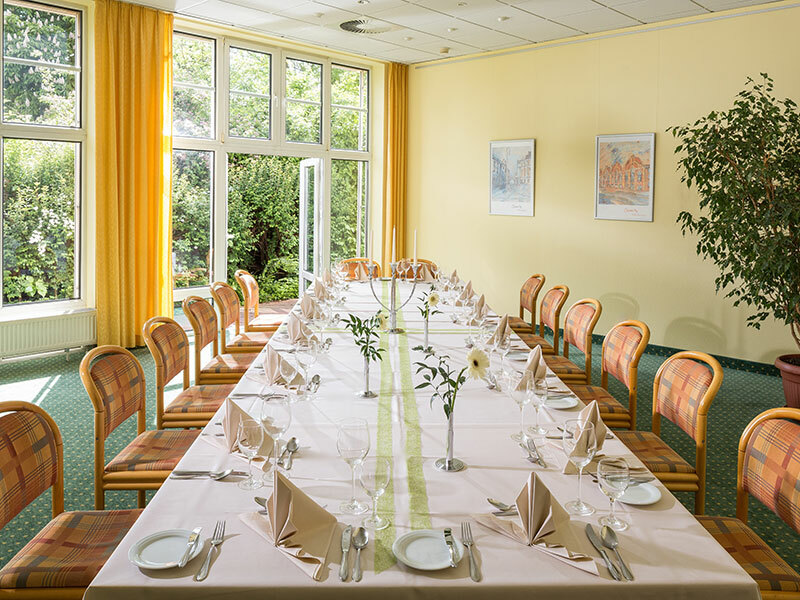 AMBER HOTEL Chemnitz Park: Celebrate your special day with us! We can provide the ideal venue for family celebrations such as weddings, birthdays, communions, confirmations, christenings and anniversaries and also for events like company parties or funeral services. Whether an evening meal in a small group or full-day celebrations, be inspired by our menus and buffet options! Do you have any questions, need some additional information or want to visit our venue in person? If so, please feel free to contact us on: Mrs Susann Dobyns , telephone +49 3722 513-250 will gladly provide you with further assistance and will put together a tailored quotation.